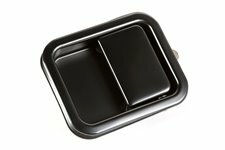 Black paddle-style door handle fits the Left of 81-86 Jeep CJ and 87-95 Wrangler. Also fits the Right side of 97-06 Jeep Wrangler. 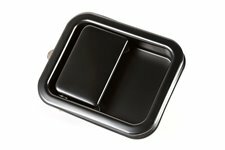 Black paddle-style door handle fits the right side of 81-86 Jeep CJ and 87-95 Wrangler. Also fits the left side of 97-06 Jeep Wrangler.